Arielle Ship was drafted by Seattle Reign FC with the No. 26 overall pick in the 2017 NWSL College Draft. The Washington Spirit acquired the forward via trade on January 23, 2017. The former Cal-Berkeley player finished her college career tied for seventh all-time at Cal in goals with 29. 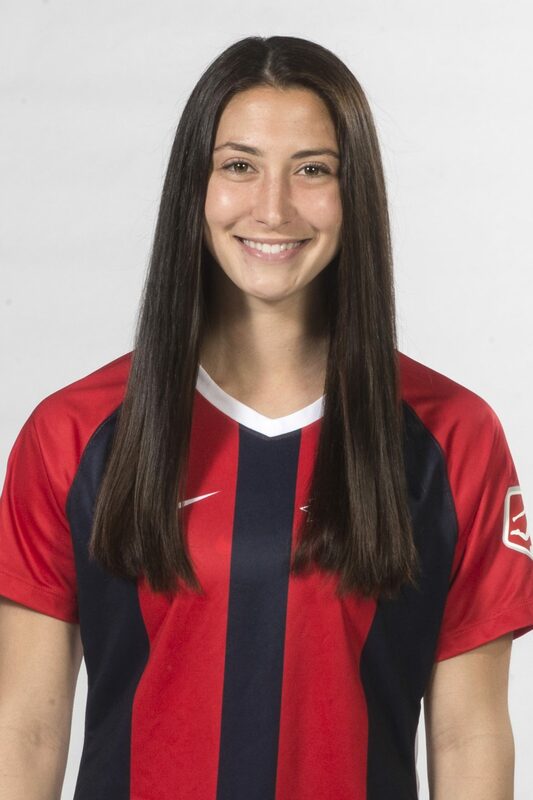 2018: Returned to the team as an unused substitute on August 17 against the Houston Dash after an ACL injury sidelined her for a majority of the season. Upon her return, Ship made two appearances against the Portland Thorns at the Spirit’s Audi Field debut, and against Sky Blue FC, scoring in a 1-1 draw in the final game of the 2018 season. Ship scored her first goal of the season after just 41 minutes of game time. 2017: Ship played in 14 games during her rookie season, totaling 688 minutes. She scored one goal and recorded two assists, and was named the NWSL Player of the Week during Week 15 after her breakout performance in a 4-1 road win over Sky Blue FC. 2016: Earned her second career All-Pac-12 selection, making the Second Team…named third-team All-Region by the NSCAA…led team in goals (11), assists (6) and points (28) for the second straight year…ended career seventh all-time at Cal in goals (29) while also adding 72 points….opened the season on the MAC Hermann Trophy Watch List…Preseason Top 20 (No. 19) on the TopDrawerSoccer Preseason Top 100 and placed on the TDS Preseason Best XI Second Team… 2015: Named First Team All-Pac-12 and earned Cal’s first-ever Pac-12 Player of the Year award after leading the Pac-12 in goals (14), points (34) and game-winning goals (6)…NSCAA Second Team All-America and First Team All-Region…Pac-12 All-Academic honorable mention selection..was also named the consensus National Player of the Week on September 9 when she was selected as the country’s top player by the NSCAA, TopDrawerSoccer and ESPNW…her seven-point outing (3 G, 1 A) against UCLA with three goals and one assist goes down as the third best single-game performance in program history. 2014: A Pac-12 All-Academic Honorable Mention selection…Appeared in 21 games while starting in 17…Scored four goals and tallied three assists…2013: Saw the most minutes of any freshman player, tallying 206 minutes in nine appearances.